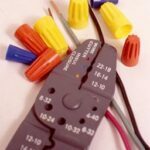 Splicing wires is easy with the right tools and a basic understanding of this simple process. 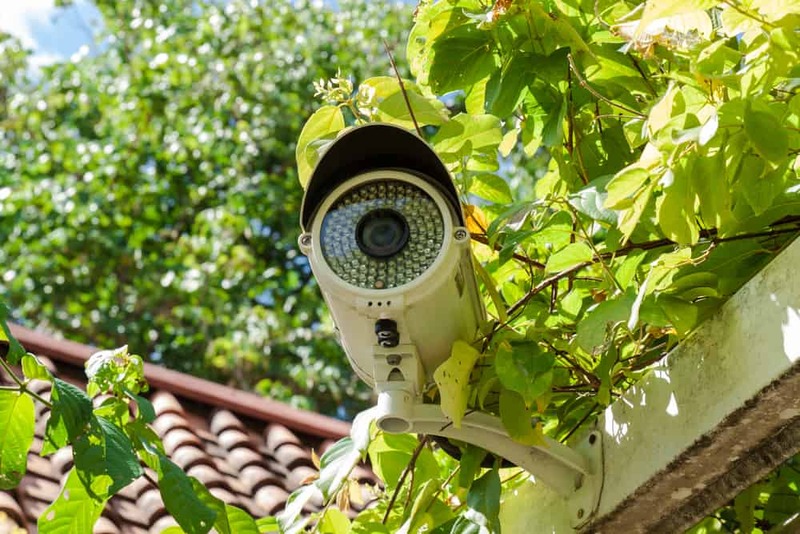 When working on an electrical project, taking care that all the connections are made well and will last isn’t just about getting the job done right, it’s also a matter of safety. 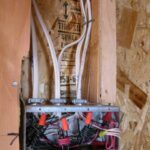 Poorly joined, or spliced, wires can lead to electrical shorts and become a fire hazard. 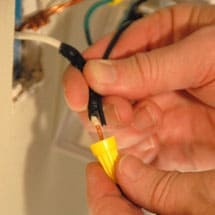 There are two kinds of connectors used to splice wires together safely and strongly—wire nuts and compression sleeves. 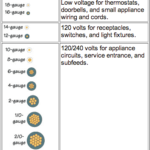 Which connector you use will depend on your project and your local building codes. 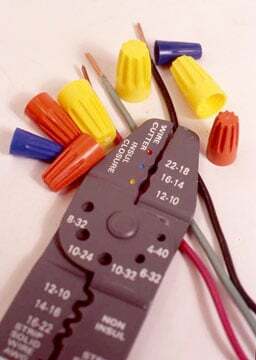 Wire nuts are thimble-shaped connectors made from a hard plastic that twists over the ends of wires to connect them. Because wire comes in many different sizes, or gauges, finding the right-size wire nut for your project is crucial. Wire nuts are color-coded to distinguish their sizes, which range from the smallest, gray-colored #22 American Wire Gauge (AWG) to the largest, red-colored #10 AWG. Using a wire gauge to measure the wire you will be splicing will help you choose the right wire nut for the job. 1Strip about 1 inch of insulation from the ends of the wires being spliced together using a proper insulation stripper, not a knife. Twist the ends of the wire together clockwise one to one and one-half twists. 2Evenly trim about 1/2 inch off of the ends of the twisted wires. 3Screw the wire nut clockwise onto the twisted wires until it is tight enough that it does not come loose when tugged. Make sure no bare wires are exposed. Wire nuts are fast and easy to use and can easily be taken off to disconnect wires. For more-permanent connections, though, a compression sleeve should be used. Compression sleeves provide a more permanent bond than wire nuts, and for this reason some local building codes require their use. Shaped like bullet casings with the ends cut off, some compression sleeves have the added feature of being insulated. Though putting on compression sleeves is a little more complicated than putting on wire nuts, they are perfect for projects where durability is paramount. 1Strip the insulation from the ends of the wires, exposing about 1 inch of metal, and twist the wires together about one and a half times. 2Trim the ends of the wires about 1/2 inch. 3Slip the compression sleeve over the ends of the twisted wires and crimp them using the jaws of a wire stripper or a special crimping tool. To ensure the metal is in tight contact with the wires, be sure to use enough pressure. Some codes require the use of an insulating cap on the ends of the wires, so be sure to check. Also, when splicing aluminum wire to copper wire, use a special two-compartment connector. Just like duct tape should never be used to seal ducts, electricians’ tape should never be used in place of wire nuts or compression sleeves. 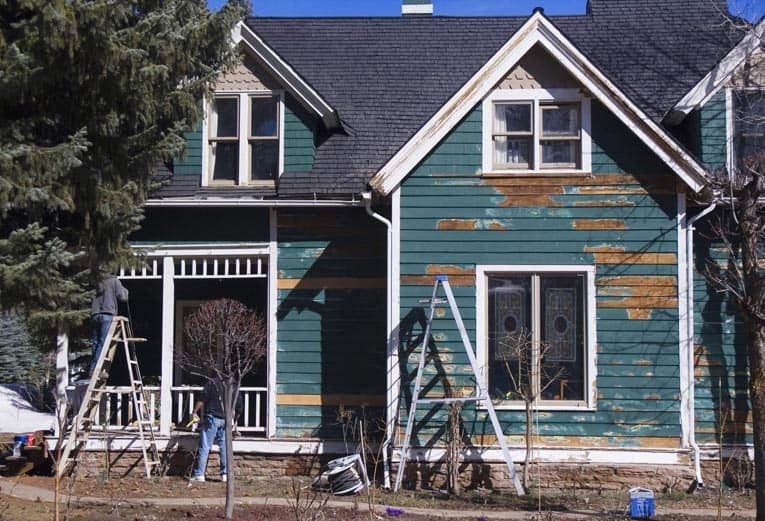 Also, as with any electrical project, make sure that all power is turned off from the breaker box before stripping insulation or making connections.